Producers and label owners Vangelis and Vidal Vargas have performed worldwide from North America to Europe to Japan. Through their connection with Drumcell they developed the label, production group and music collective Droid Behavior. Aside from curating forward thinking events such as Interface, Raíz have released affective music on labels including Electric Deluxe, Historia Y Violencia, Droid Recordings and their own label VRV. 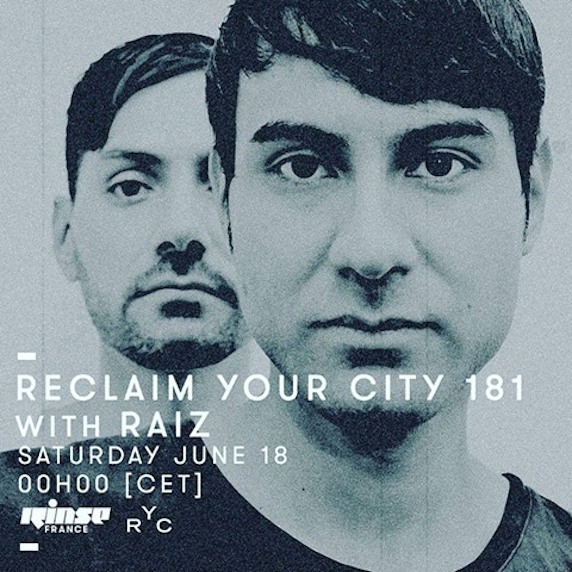 As performers, Raíz fully harness the capabilities of technology to create a thick blend of Detroitinfluenced techno and hard, gritty house. Years of production experience inform their Live PA / Digital DJ hybrid approach, as they layer each track’s core essentials and live improvisation to craft sets into a unique and narrative arch. Their releases follow suit, drawing from their musical training and diverse influences, to shape conceptual tracks of substance. 12. Transllusion – Do You Want To Get Down?